Joseph Pew led the Sun Oil Company, of which his family had a substantial stake, to great heights of success after he assumed leadership from his father. His focus on growth and ability to adapt to changing times helped the company grow into the 15th largest oil refiner in 1941. The company survives today as Sunoco and is known for many achievements, all of which were made possible by the groundwork laid by its forward thinking and influential leader. Joseph Pew took over Sun Oil Systems after his father died in 1912. The company stayed in good hands. Sun Oil Systems, which later became Sun Oil Company, was rapidly growing, even as it approached its 25th anniversary. Pew, along with his brother Joseph N. Pew Jr (his vice-president), used the growth and profits to great advantage. In 1916 they tried their hand at shipbuilding and set up the Sun Shipbuilding and Dry Dock Company. This proved to be a successful move and as their shipbuilding fortunes increased, so did their oil ventures. 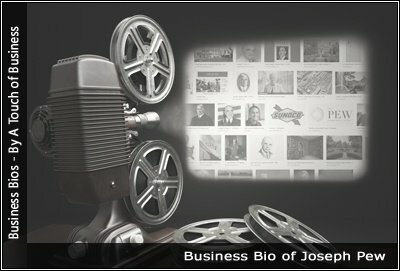 Joseph H. pew decided to open Sun’s first service stations during the 1920s and it was also during this time that the company went public, offering shares and becoming an increasingly more lucrative business. The 1930s and 1940s proved to be even more profitable for Sun as Pew set his sights on additional businesses such as oil field equipment and mining ventures. World War II became an opportunity for further business as Sun provided oil, aviation fuel, and ships for oil and combat to the military. Sun continued to grow, even after Joseph Pew’s death in 1971. By that time the company had significantly expanded its oil interests and was a powerhouse player in the oil industry. Pew’s legacy was formidable and enabled the company to continue growing, building on his lifelong contributions and work ethic. Now known as Sunoco, the company continues to enjoy much success in the world of oil. Wouldn’t easily shy away from difficult projects and assisted the US military in many ways through Sun’s shipbuilding division, even after WWII. Helped repair numerous ships and assisted the CIA in forming a special craft for a 1973 mission regarding a lost Russian submarine.